Follow the steps below to mass update contacts. You'll first want to export out all of the contacts from Purlem. To do this, go to Contacts > Export Contacts. The downloaded spreadsheet will contain the Contact ID for each contact. Make the required changes to the downloaded spreadsheet. Make sure the keep the Contact ID in tact. Upload the spreadsheet back into Purlem. Follow the steps for Uploading Multiple Contacts. 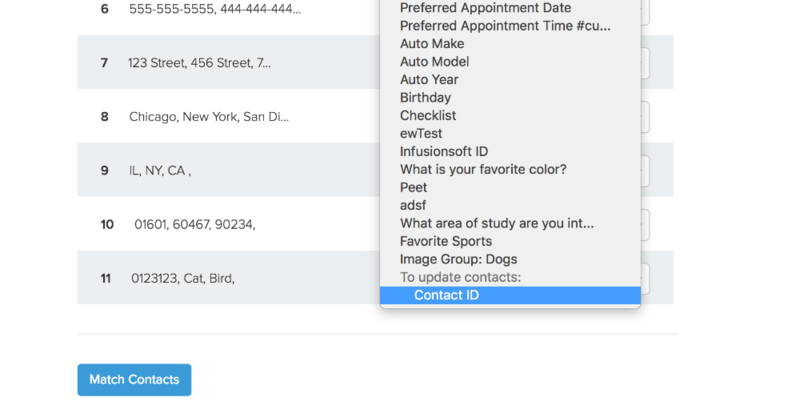 This time, match the Contact ID in your spreadsheet.